Scrub those hair bumps away with GiGi No Bump Body Scrub! 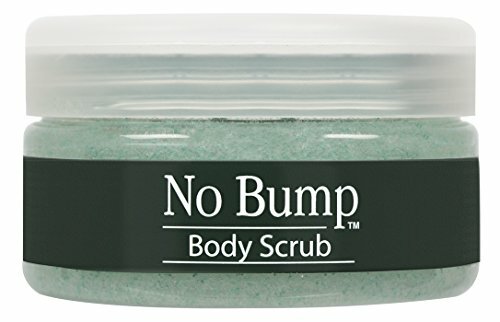 GiGi No Bump Body Scrub is the essential pre and post skin smoothing exfoliator that helps reveal smooth, radiant skin for optimal hair removal results. This exfoliating body scrub helps prevent ingrown hair and bumps that sometimes appear after hair removal. It is formulated with Salicylic Acid that effectively unclogs pores, removes dead skin cells, and serves as an anti-inflammatory agent. It is also enriched with Rice Bran Wax that is known for its many skin benefits such as skin regeneration, hydration, and more. So, while you are enjoying your time in the shower, simply massage the scrub in a circular motion all over your body, arms, legs, and bikini area. Then off you go to enjoy your silky-smooth and bump-free skin! Exfoliates! Removes dead skin cells and unclog pores for smoother, younger looking skin! If you have any questions about this product by GiGi, contact us by completing and submitting the form below. If you are looking for a specif part number, please include it with your message.